Easts Pearce Cup winners for record 8th successive year!!! 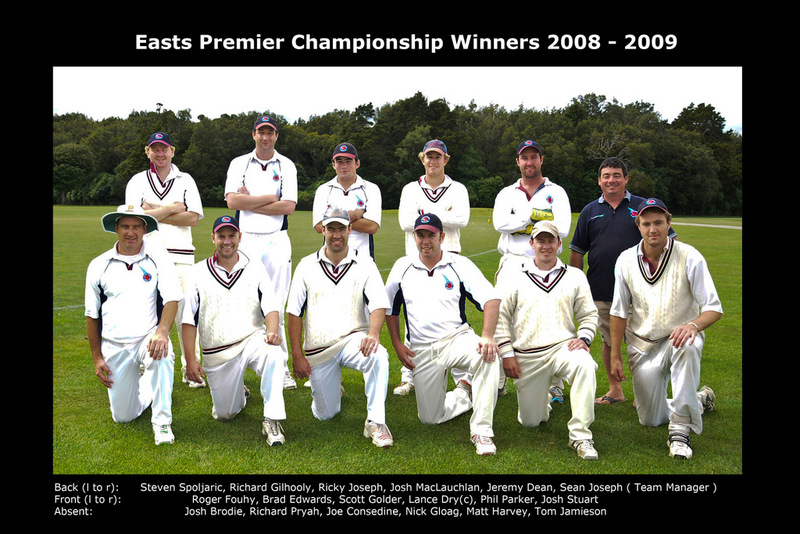 Captain Lance Dry scored the winning runs to ensure that Easts secured the Pearce Cup for the 8th successive year. Lance stated after the game that it was the "sweetest victory of all the wins" after all the tension leading up to the final. This had definitely inspired his team to retain the Pearce Cup. An outstanding bowling effort by Ricky Joseph kept Karori runs to a minimum with his 5-70 & 7-42. However, Karori had also bowled well in a tense final capturing eight 2nd innings Easts wickets for 121. It ended up being a low scoring match with only 499 runs scored in 4 innings. Men’s outstanding fielder - Josh Brodie in taking five catches in one innings against Otago in round seven, Brodie equalled the mark of five catches in an innings by a Wellington fielder, set by Jack Lamason in 1938/38 and John Morrison in 1980/81. East’s and Wellington’s Josh Brodie starred as New Zealand Emerging Players enjoyed a solid first day of a two-day match against England A at Lincoln on 22 Feb 2009. 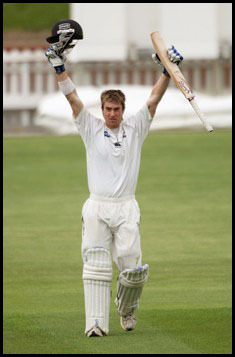 The left-handed opener hit 124 off 216 balls in a near six hour vigil as Emerging Players reached 321-7 at stumps. 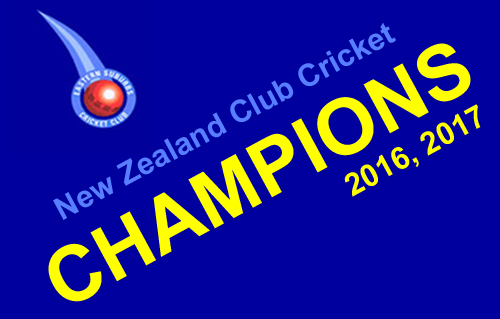 In a dramatic final round Easts have finished as top qualifers for the 2008/2009 three day final against Karori. Easts had a slender lead against Upper Hutt going into the last day but plundered 273-8 in the second innings, with Steven Spoljaric scoing an unbeaten 157 and Ricky Joseph 49. Upper Hutt were then dismissed for 34 runs with captain Lance Dry taking 4-5, Roger Fouhy 3-2, Spoljaric 2-8, Ricky Joseph 1-13 and Scott Golder 5 catches at first slip. Season points ended up with Easts 106.89, Karori 105.49 and Taita 104.64. The 3 day final will be played at Petone Rec. starting on Friday 27th March 2009, so get along to support the team with their defence of the Pearce Cup for what will be a record 8th time. Easts also defended the Cook Shield and retain it for the first 2 day challenge next season. Josh Brodie has been named in the New Zealand Emerging Players team for the first of two two-day games against England A on 22 – 23 February, at Lincoln. Brodie has been selected for the Emerging Players team from his strong performances in January’s National Provincial A Tournament. 21-year old Eastern Suburbs opening batsman Brodie made his State Wellington Firebirds State Championship debut in March last year and scored his maiden first class century against the State Northern Knights in December, making 110 after being unbeaten on 99 at stumps on the previous day. JOSH STEPS UP TO BIG TIME! Heartiest congratulations to 21 year old Easts left-handed opening bat Josh Brodie on scoring a Firebirds contract for the upcoming season. It came as no surprise to Josh’s supporters and followers in the club. Not only did he have a terrific season last year, but some of us have seen this coming ever since Josh was first "discovered" and "groomed" whilst playing for the Club’s Under 15 Colts six years ago. Josh has both the technique and the temperament to grasp the opportunity and prove to be an absolute success for this season and the years ahead. 21 year old Josh Brodie is playing for the The Lindum Cricket Club in Lincoln. Highly promising 19 year old Ricky Joseph is at Gedling Colliery Cricket Club in Nottingham. Dylan Patel is at Finchley Cricket Club in London. Young Nathan Cameron, last years Scots College 1st XI captain and very promising medium-fast bowler, is currently doing a gap year in England. He is tutoring at the well-known Harrow School and has hooked up with the Harrow Cricket Club. His school tutoring duties may not allow him to play much Saturday cricket but he is keen to get into the local Sunday League and I'm sure he will prove a terrific acquisition for Harrow. Follow Nathan's progress through the following link Harrow Cricket Club.